I feel like I haven't done a review in so long! 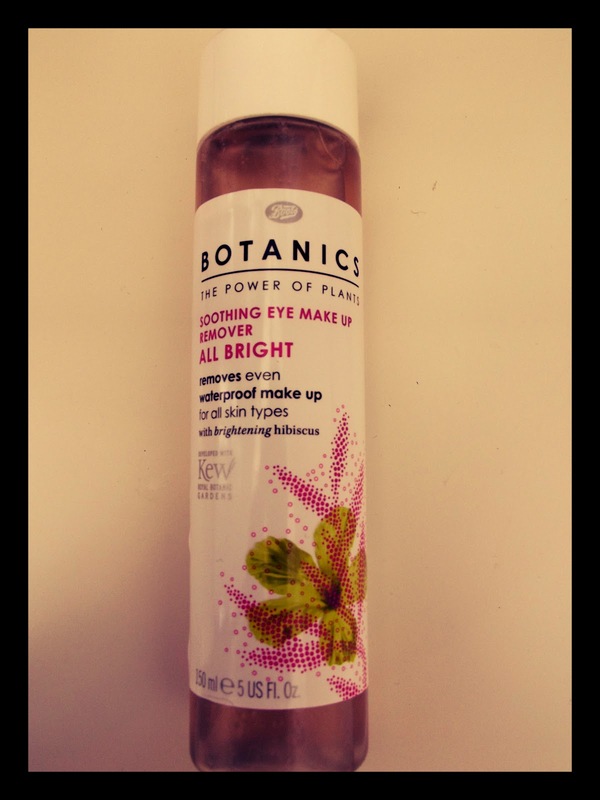 Let me introduce you to my new favourite eye make-up remover, Miss Botanics. It contains hibiscus, which helps to soothe and condition lashes. This wonderful ingredient also contains a brightening booster which helps to make the skin appear smoother and brighter. Now, I don't know if this is a placebo but after using this, my eyes do generally look more awake than before I started. I suffer from fatigue quite a lot so a lot of the time my eyes do feel tired and sleepy. The formula of this is strange, and it needs a vigourous shake before application. You know how oil and water don't mix very well? 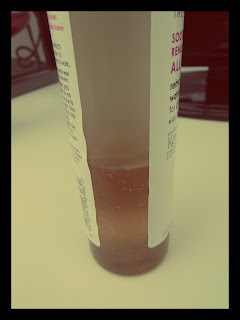 - this remover is similar.. the coloured liquid that settles at the bottom is that wonderful ingredient, hibiscus. However, the consistency once shaken, I personally love. It's a gentle oil (similar to No7), which I prefer more than water based removers. Oil based ones always seem to be more effective on removing my mascara. Where you can see the 'water' level is not how much I have left (my bottle is still almost full).. this is where the hibiscus settles (just trying to give you an idea of the formula!). With the bottle containing 150ml, this is definitely going to last me a fair few weeks and would easy make my July favourites! I really like the sound of this product & as I'm still on the quest to find THE perfect eye make up remover I may have to give it a go!